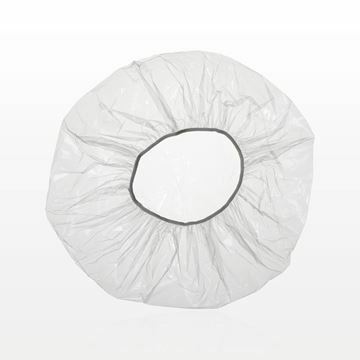 This clear polyethylene processing cap can also be offered as a disposable shower cap. The cap provides full coverage and has elastic to keep it in place. With the professional hair stylist in mind, this well-organized deluxe hair supply kit is completely stocked with basic hair styling essentials. This kit includes 180 Brown and 180 Black Marianna® Supreme Bobby Pins, 240 Brown and 240 Black Marianna® Hair Pins, 250 Black and 250 Clear Marianna® Rubber Bands, 3 Hair Sectioning Clips, 8 Purell® Sanitizing Hand Wipes, 8 DUKAL™ Sterile Alcohol Prep Pads, and a Clear Bottle with Black Trigger Sprayer. The supplies lay nicely inside this 10.5 inch x 6.19 inch x 1.56 inch beauty supply organizer with adjustable partitions. The lid seals with two clasps to keep items secure during travel. All products in this kit are sold separately for refill purposes. This multi-pack of color brushes by Colortrak™ includes three precision brushes. Included are two narrow head brushes and one angled edge color brush, which allow you to “paint” on highlights precisely. This multi-pack of brushes by Colortrak™ has everything you need to create color dimension for your client. The pack includes a wide color brush for quick coloring of larger sections, a precision color brush with a narrow width for detail coloring and an ultra-precision color brush to simply paint on highlights. Two tools in one! 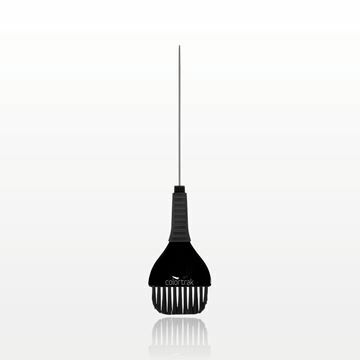 This Duo Color Brush by Colortrak™ has one side with a metal pin tail for weaving or separating hair while the other side has color brush for quick color applications in wide areas. For your comfort, the ergonomic handle and contoured thumb groove help prevent hand fatigue. This versatile apron by Betty Dain can be converted into a tool skirt by simply folding the top panel over. 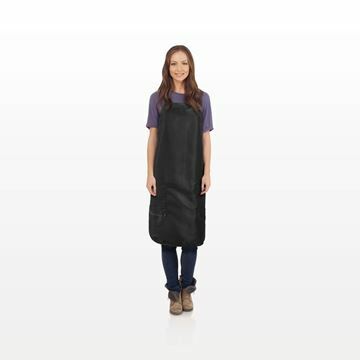 Made from lightweight polyurethane, this machine-washable apron is both chemical color proof and waterproof. There are also bottom zipper pockets for easy removal along with adjustable neck and back closures. This water resistant, machine-washable apron by Betty Dain has an adjustable neck closure and bottom zippered pockets for easy removal. This machine washable, all-purpose cape by Betty Dain is bleach, color, and chemical proof and will protect your clients’ clothes. It is lightweight and has a snap closure. 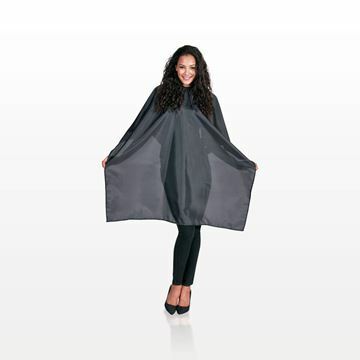 This styling cape by Betty Dain is lightweight, water resistant and has Velcro and snap closures. 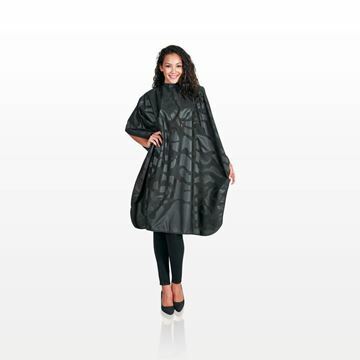 The nylon material is wrinkle free and helps to protect your clients’ garments during salon services. 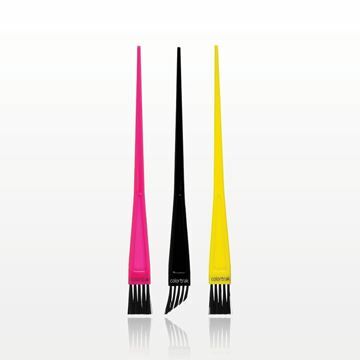 This multi-pack by Colortrak™ includes three wide color brushes with non-slip handles in pink, yellow and black. The wide and unique contour tips allow for faster application. 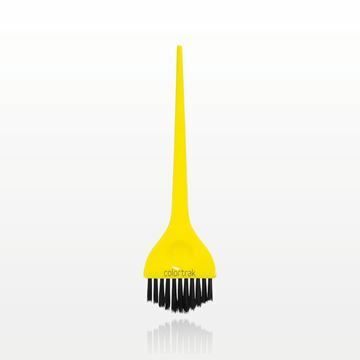 This balayage brush by Colortrak™ is designed with ultra-soft, peaked feather bristles for line diffusion and blending. Ideal for freehand coloring techniques or for using with a balayage board. Salon owners and stylists can shop for wholesale supplies at Qosmedix. Our accessories selection includes a wide range of bobby pins, hair pins, duck bill clips and rubber bands to suit an array of styling techniques. The salon-grade bobby pins deliver quality features, such as double-coated metal. 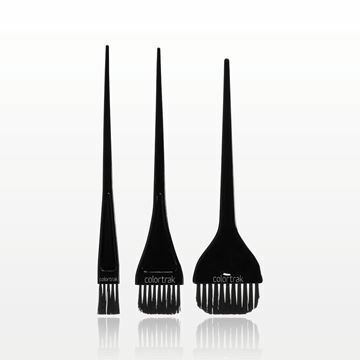 They include rubber tips that protect hair from damage. Our crimped bobby pins keep professional up-dos, buns and braids secure. These accessories for hair salons come in black, brown and blonde colors for subtle blending. Our professional hair pins are designed to slide easily into the style. They are available in black or brown. Some of our salon hair accessories serve as essential supplies and popular retail items. They arrive with convenient hang tabs, ready to display. Take a look at our hair section clips. Their hinged designs are an asset to the stylist who is sectioning hair for cutting and styling. Packages of these accessories, often called Croc Clips, are also essential items for salon clients to purchase. Hair stylists can also purchase silicone heat resistant station mats, which help protect countertops and other surfaces from hot tools. Do you create complex styles? We sell hair salon accessories in bulk that keep looks in place. Our bulk-packaged hair accessories offer exciting options for private labeling or color customizations. You’ll find that we stock hair and bobby pins in the larger quantity boxes that salons need. Choose from pound and half-pound boxes of bulk bobby pins from trusted brands, or order bags of rubber hair bands. We also carry individual salon items, such as a salon mirror or countertop mat. The mats perform a valuable service, protecting surfaces from extreme heat. Order individually or in bulk today from our expansive selection of beauty supplies. You’re sure to discover hair accessories and a range of products to benefit your customers.